In France, there are many Japanese restaurants but unfortunately not many restaurants which have Japanese chef and owned by Japanese. 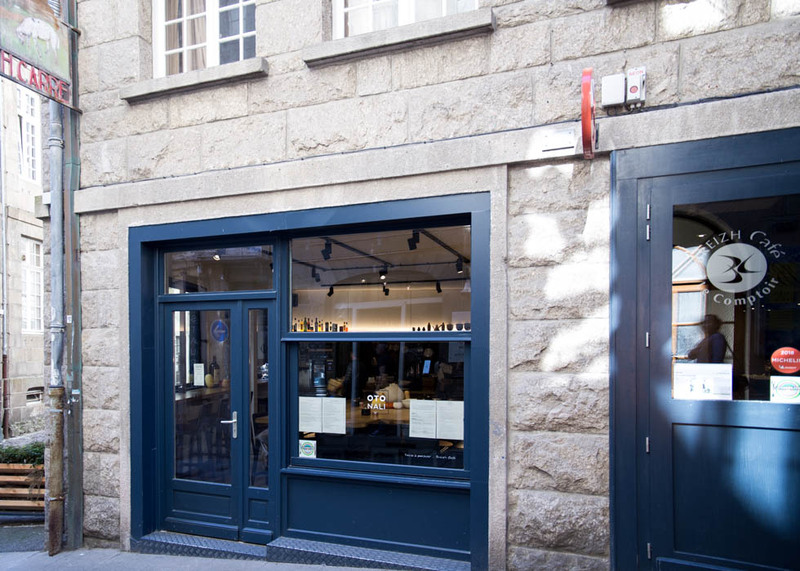 A restaurant inspired by Japanese bistrot opened in the heart of Saint Malo in 2017. 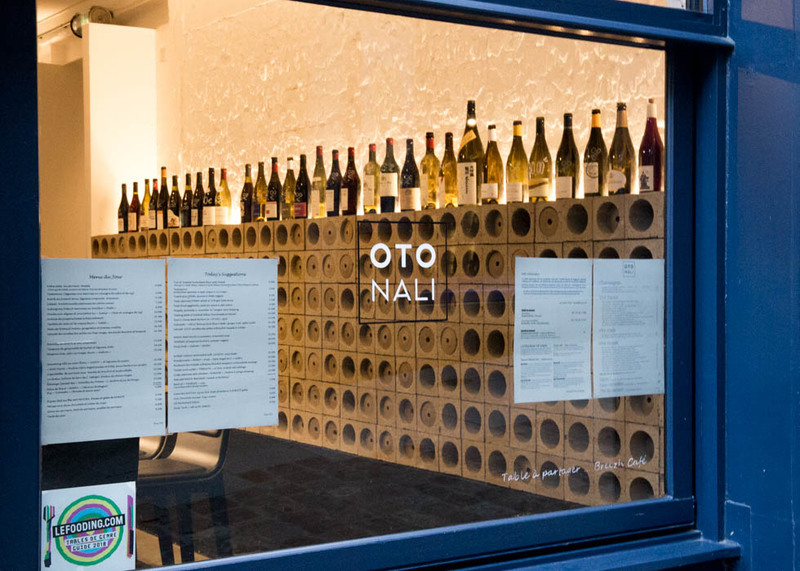 Otonali is an authentic Japanese restaurant fusioned with Britain food, with a Japanese chef, Yasu. This galette chips is perfect for appetizer with a drink. 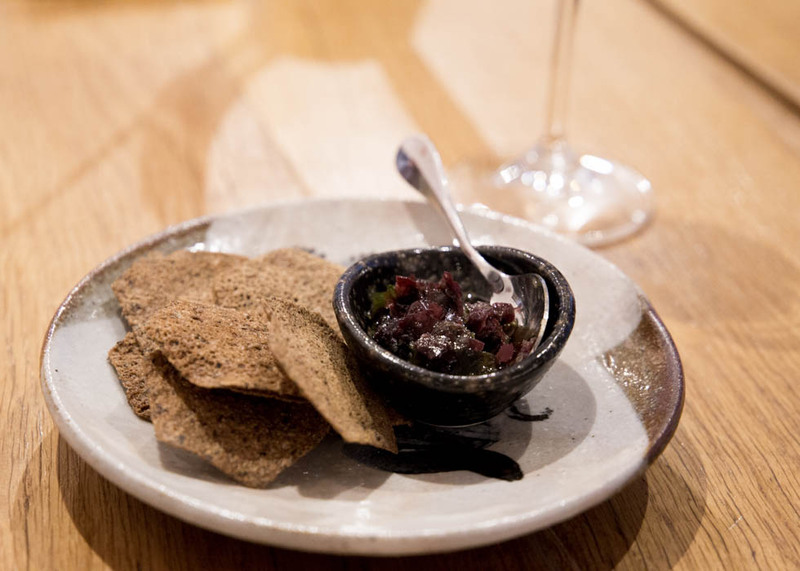 The dip on the right side is made of 4 seaweeds, dulse, wakame, green letuce, and kombu. A little salty and sweet dip goes perfect with the tips with slightly bitter taste. Today, sake is really getting popular in Paris and more and more Michelin French restaurants also serves sake. Yet in Bretagne, it's still not that known as in Paris. 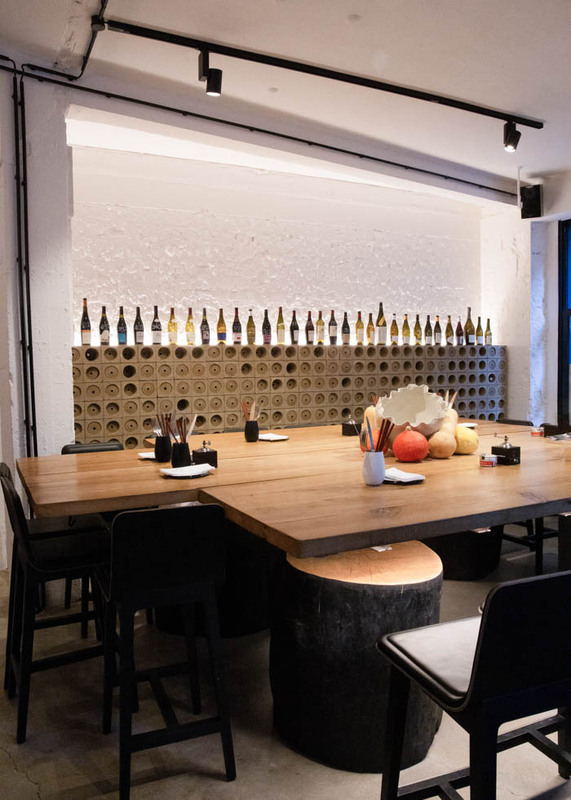 This izakaya style restaurant, Otonali, would be the epicenter of sake culture. In Otonali, they have also a sake sommelier and have a few sake depending on the time. You can enjoy sake, or wine, which goes well with you meal. he stuffs also can warmly tell you which one you could choose. 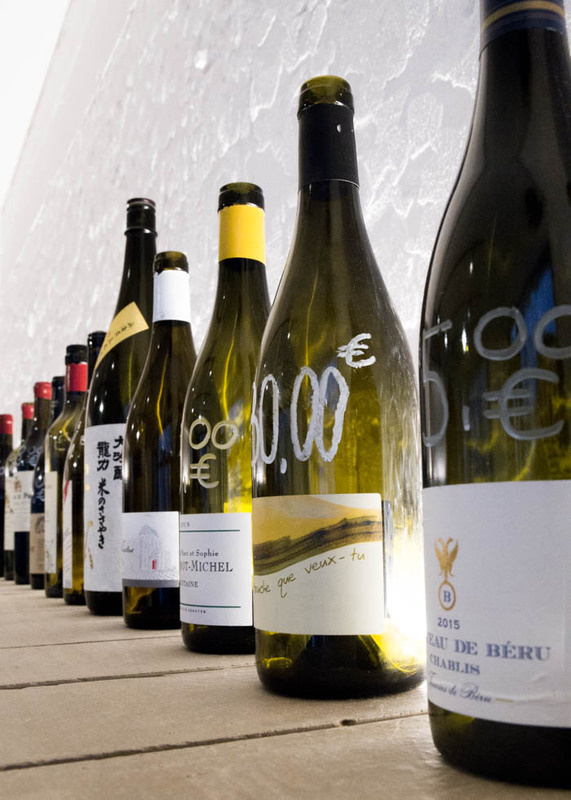 All the wines Otonali serves are natural wines. 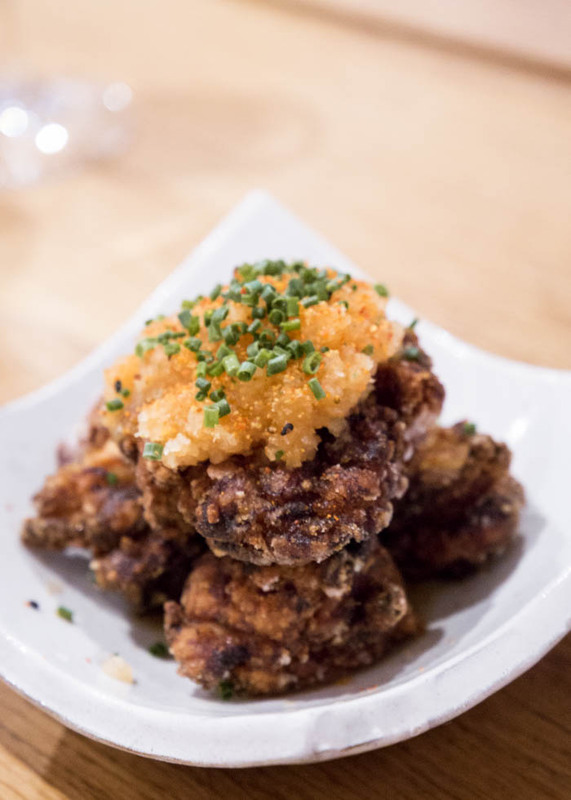 This 'Kara age' is a japanese typical fried chicken. Seasoned very well beforehand, soft chicken covered with deep fried crunchy batter makes it more than perfect. You could say that this fried chicken is the best one you have ever had. In Japanese way, the rice often comes with main dish. 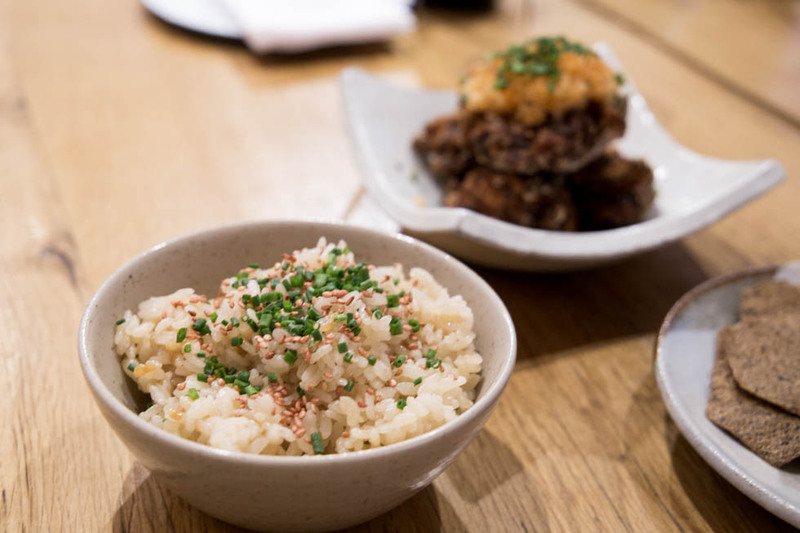 Just right seasoned rice brings out the flavor of side dishes. 'Maki' is now enjoyed by many French people in France, especially in Paris. 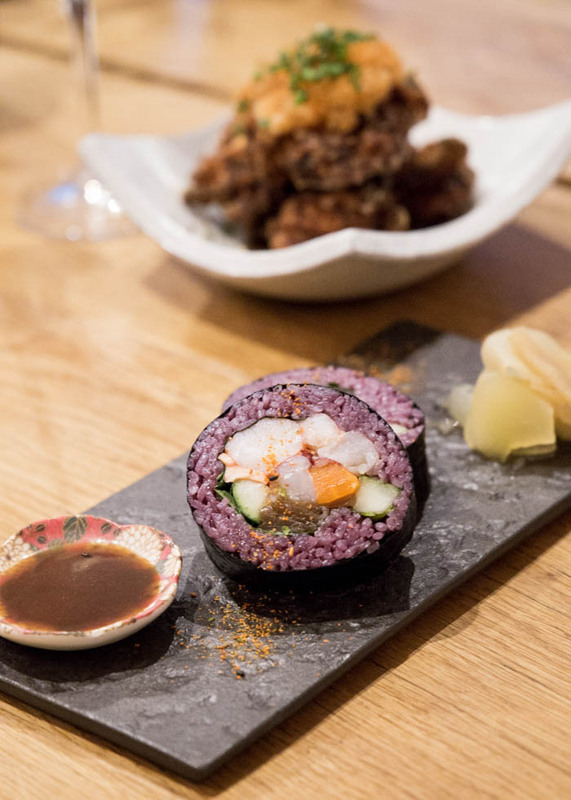 This maki is Britain lobster maki with candied apple and ginger. It tastes different from Japanese maki and a good fusion of Britain and Japanese food. LARCHER Bertrand, the founder of Le Bretagne corporation, started Breizh Cafe in Saint Malo and also Otonali. He seeks to preserve and expand the Bretain food culture, and also seeks to set a new endavor of meeting the Japanese food and Bretain food through buckwheat. Izakaya, consisting of i(to stay) and sakaya(sake shop), is a typical place for after-work drinking for Japanese people. 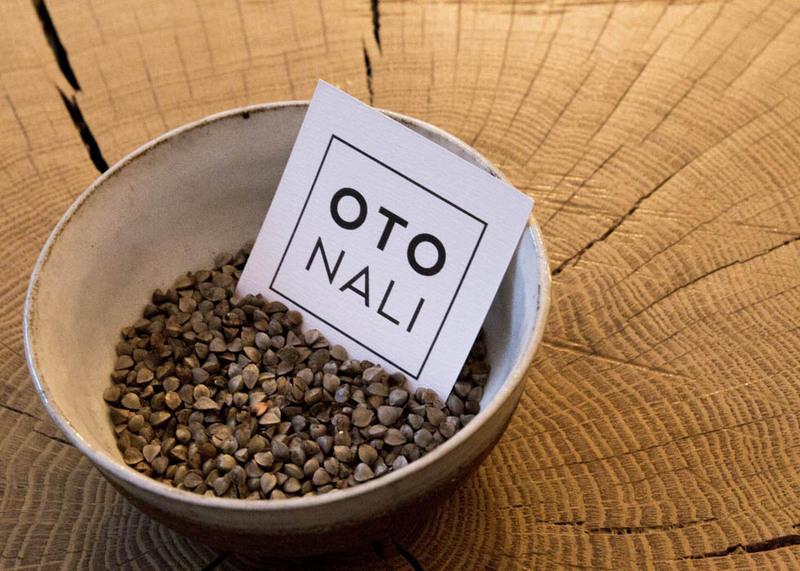 Otonali is a restaurant that we can feel like a neighbor. Heartly welcomed, you can enjoy the authentic Japanese food.